TheSmallBigIdea, a Digital-first branding agency, has strengthened its entertainment clientele by bagging the social media mandate for one of most popular reality shows of the country – Bigg Boss. 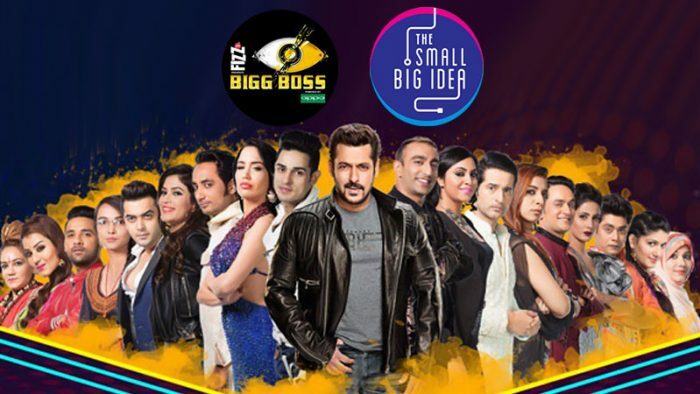 Following the success of TheSmallBigIdea’s social campaigns last year, Colors TV awarded the Bigg Boss account to TheSmallBigIdea this year too. Gauging huge amount of conversations across social media in the last season, this year the agency along with Colors digital team designed and executed interesting social media campaigns revolving around show’s concept. Based on “Padosi and Gharwale”, the social media activities aimed to effectively grab the eye-balls of show lovers. From the use of Facebook LIVE with evicted contestants, live tweets during the telecast of the episode, gossip teasers, witty memes, interactive posts in the form of polls and contests, a full arsenal of content formats are used to keep the audience engaged. The online audience of Bigg Boss keeps interacting on the social media platforms and a robust response plan fuels active engagement. Thus, the team also has a very strong social CRM plan wherein they engage with the audience using popular dialogues and instances from the show.Moreover, they lay quite a bit of importance formulating future strategies based on Social CRM and audience responses.